Breakfast – tlc. | tender love and cupcakes. I warned you guys about this health kick. I’m super psyched about today’s recipe! I love brunch foods because 90% of the time, they can double as desserts. 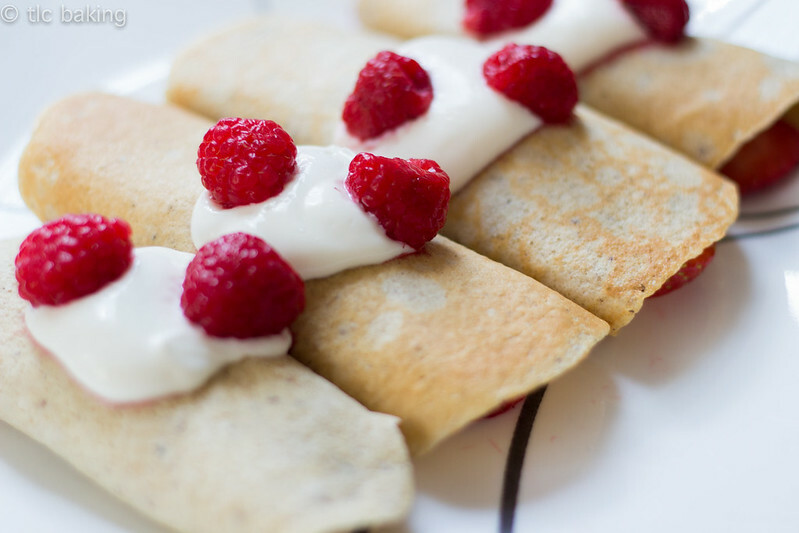 Crepes definitely fall firmly into the brunch/dessert category for me–especially if we’re talking about Nutella-and-fruit-stuffed crepes. Unfortunately, no human body can sustain itself on chocolatey crepes forever, so I turn to a less deadly alternative. The ingredients are simple. 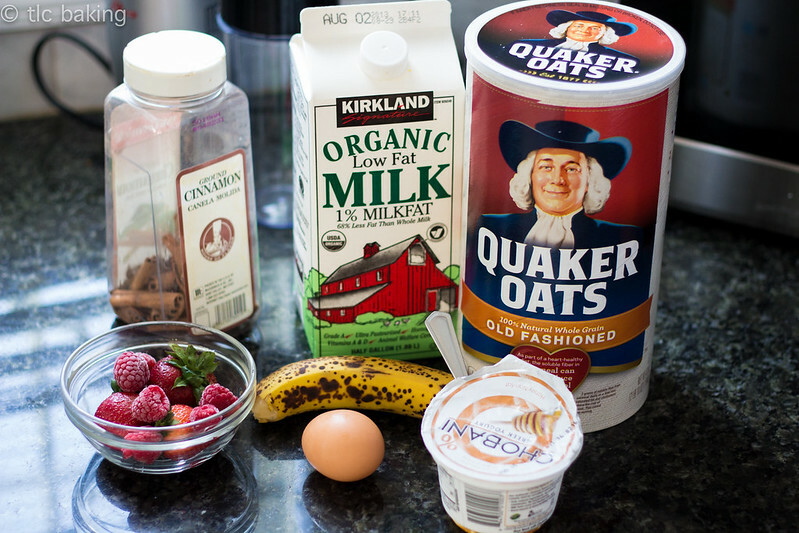 All you need for the crepes themselves are rolled oats, milk (dairy or non-dairy), one egg, half a ripe banana, and some ground cinnamon. Blend the oats and cinnamon to form a fine flour, add the wet ingredients, blend once again, and heat up your pan! 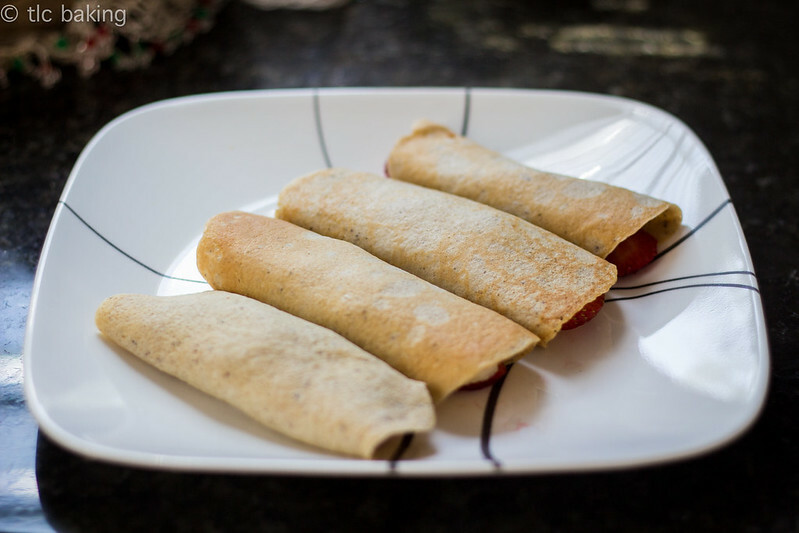 I made four medium-sized crepes, simply because they’re easier to flip than the large ones. But y’all do whatever floats your boat. I let my crepes brown far more than a French chef would find acceptable, but I like that slight crisp with the softer underside. I definitely could’ve eaten these plain, but they taste better with a little extra moisture. If that means a healthy slathering of Nutella to you, by all means, go for it! I stuck with some honey Greek yogurt and the raspberries since I was going for a healthy breakfast. 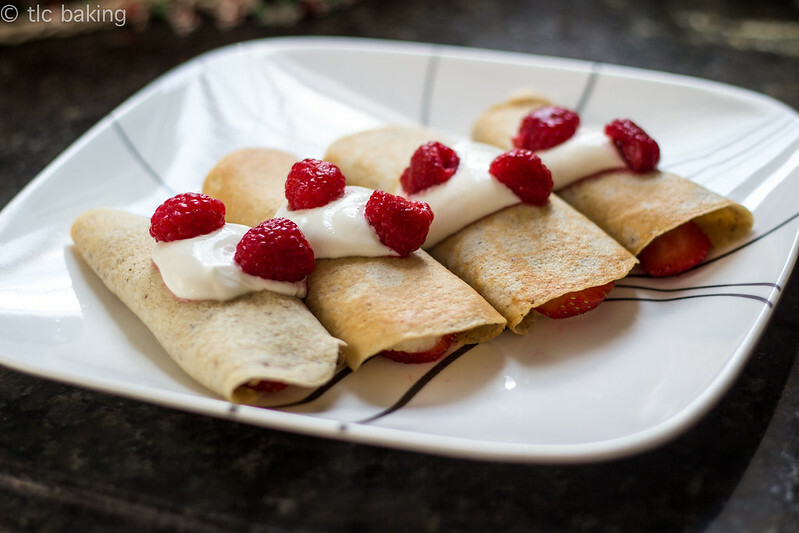 You can also just drizzle plain honey over them, or opt for whipped cream, blueberries, a layer of melted peanut butter inside, perhaps some butterscotch–anything you can think of. I felt like I was being so decadent with breakfast, but the whole process honestly takes under 15 minutes. And with minimal cleanup, too! Anyway, that’s all for today, folks! See you next week!